Matt is one of my best friends, and even if he wasn’t, this would still be one of my favorite graphic novels. This story spans decades and follows the life of a man who can’t stop growing, and his relationships with his wife and daughter. It is heartbreaking and awe-inspiring. Eddie Campbell’s Alec books are all genius, but the first collection of stories, The King Canute Crowd, is pure magic. It documents Eddie’s early days starting out as a cartoonist, while working at a sheet metal factory in the UK. The stories are wonderful documents of early '80s England and both the working class and the art crowd. These comics are deeply human and really, really charming and entertaining, just like Eddie himself. And speaking of the '80s and books that influenced me…this was super heroes done like I’d never seen super heroes done before. Like Watchmen, its gravitas and dark and gritty aesthetic has been much imitated, but that’s all just the surface stuff. This book is operatic and mythical, and it’s never been matched. When I was starting out making comics in the late ‘90s and early '00s, this book NEVER left my drawing table. I still have the same ink-stained copy by my desk today. No other book inspired me to draw the way Cages did. It was so ambitious and so human at the same time. And McKean’s drawings make me want to draw like nothing else. Everyone who loves Clowes’ work has a different favorite story from Eightball. I honestly can’t pick just one. Pussey!, Ghost World, Ice Haven, The Death-Ray? Each is a masterpiece and that’s not saying anything about all the other short stories in Eightball. His graphic novels Patience, Wilson and David Boring are all amazing as well. It’s hard to pick just one Alan Moore book for this list, as I could easily have picked four or five. But I had to include From Hell as well. Its sheer ambition is staggering. I almost don’t know what to say about this book. It’s about Jack The Ripper, but it’s really about so much more. Struggling to find my own voice as a cartoonist in Toronto, the twin super powers of Chester Brown and Seth were always around. I love Chester’s work, but Seth’s struck a deep chord in me. He managed to create a melancholy and nostalgic version of Canada that probably never quite existed, but I wish it did. Writing about Canada and where he came from, Seth is a huge influence on me and this book was a real driving force behind me starting work on Essex County. (I’d Also recommend Clyde Fans, George Sprott and, Wibledon Green. All wonderful). The Hernandez Brothers are the world’s greatest living cartoonists and Love and Rockets almost belongs in a category all its own. 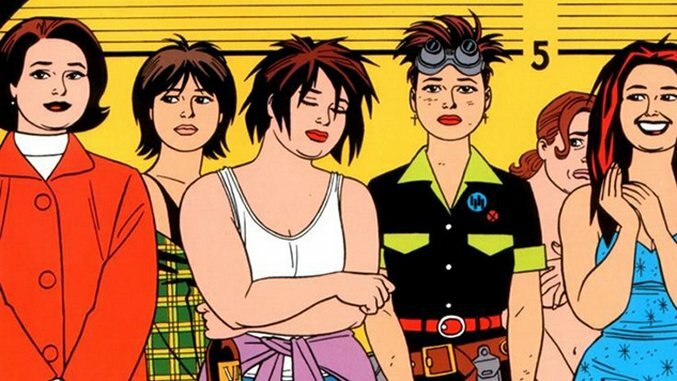 Gilbert and Jaime are both amazing, and Love and Rockets is full of incredible and inspiring stories, but Jaime’s Maggie and Hopey stories will always hold a special place in my heart and the hearts of so many others. No other comics or cartoonist has ever created such endearing and deeply human characters. And Jaime has given us the gift of being able to follow their lives for 30 years and counting. Love and Rockets just started as a monthly magazine again, and it’s as beautiful as ever. Alan Moore’s Swamp Thing run set the bar for what you can do with a mainstream monthly comic book. Never before had a creator taken an established property and done anything like this to it. Moore and his gifted collaborators totally deconstructed the Swamp Thing character, then rebuilt it from the ground up, making it one of the richest and most expansive mythologies in modern comics. And from a pure fan boy perspective, this run has everything: horror, science fiction, romance. Still one of the most enjoyable comics to reread, which I do regularly. Last year, Paste’s writers and editors did some soul searching and paid homage to the comics that inspired our career-long devotion to sequential art. For Thanksgiving week this year, we asked a handful of professionals to follow suit and divulge their favorite funny books of all time. 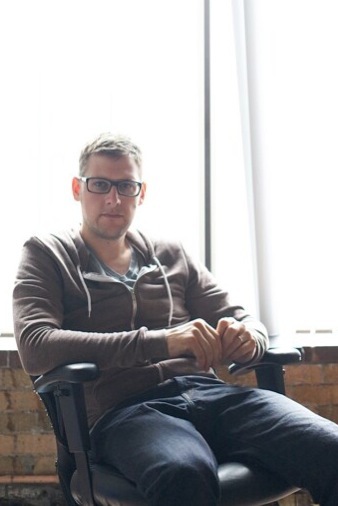 For a very special Turkey Day, writer and artist Jeff Lemire dives into the (unranked) seminal works that propelled him to create introspective touchstones like Essex County, The Underwater Welder and Sweet Tooth, to name a few. Aside from a sprawling current workload that includes nuanced blockbusters like Old Man Logan, Moon Knight and Bloodshot, sci-fi game-changer Descender and the nostalgic superhero analysis, Black Hammer, Lemire is also performing art duties on A.D.: After Death with scribe Scott Snyder. With its first chapter released yesterday, the comic/prose hybrid presents a world where death has been eradicated on a genetic level, following one man’s journey to find his identity as the centuries march by. Come back tomorrow for our last entry, when Midnighter, Supergirl and upcoming Justice League of America scribe Steve Orlando will reveal his favorite comics of all time.